Mike Senishen on CollectedIt! - Collected It! 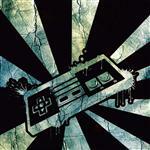 I am a Video Game collector and Retro Arcade enthusiast... I have been collecting for 11 yrs and still going, Although i cut it down alittle because im running out of room. Everything on a nice to mint scale ends up in my room of doom, everything else or doubles ends up in storage. I'll be posting pics in the near future of my room, I sometimes hesitate on showing my room off because im always changing the room around. Either because of the ever growing collection or making room where i need it. I recently moved into a new location so im always moving items around. I collect everything from apple/pc gaming to xbox 360 and beyond. My most cherished part of my collection are my stand alone/tabletop games...all in all i may have close to either one to two thousand games total. I'll take some photos soon and ill be doing a video to showcase my collection.